Hemp Bombs Premium CBD Pet Oil is Hemp Bombs’ only product designed specifically for pets. At Hemp Bombs, we understand that pets are a part of the family too, and can suffer from just as many stressors and health challenges as their owners. That’s why Hemp Bombs uses premium quality ingredients and manufacturing processes to make our CBD Pet Oil. Hemp Bombs Premium Pet CBD Oil encourages digestive health, behavioral wellness, immune system support, and overall health and wellness in your pets. 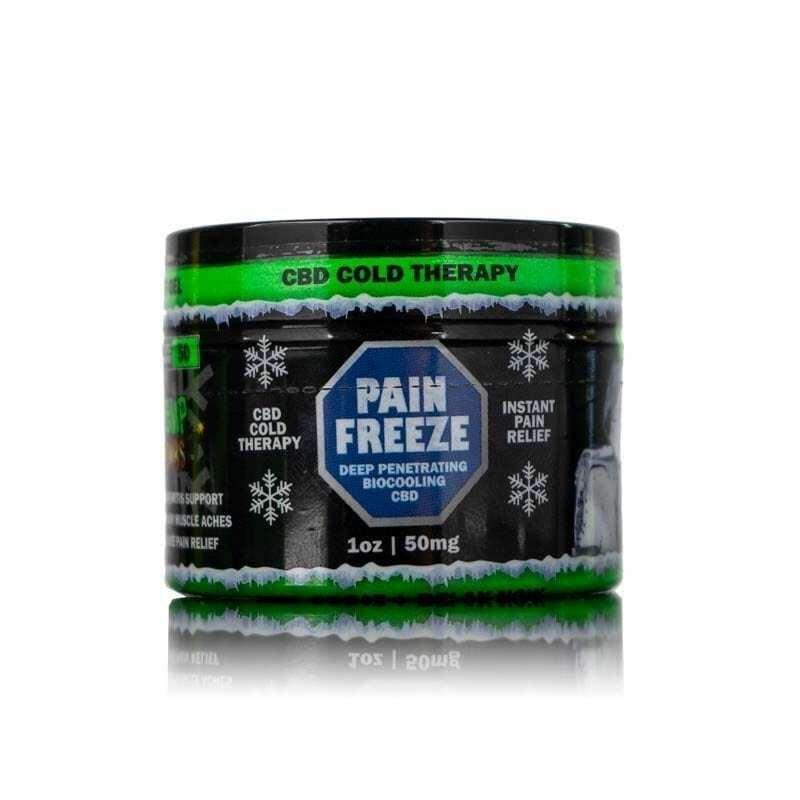 This product is recommended for pets as a source of pain relief, aide for certain complications that may arise with old age, and treatment for hyperactivity and anxiety. See the positive changes Hemp Bombs Premium CBD Pet Oil can make in your precious pets’ lives by ordering today. • Consult dosing guide for serving size. How do I administer Hemp Bombs Pet CBD Oil? The best way to administer the Pet Oil is to apply the drops directly to your pet’s tongue or the back of the cheek/gum line. If this isn’t an option, you may add the drops to a treat or meal. Our Pet Oil comes in two delicious flavors, chicken and beef, making it easy to administer to pets. How Long Will the Pet Oil Take to Work? 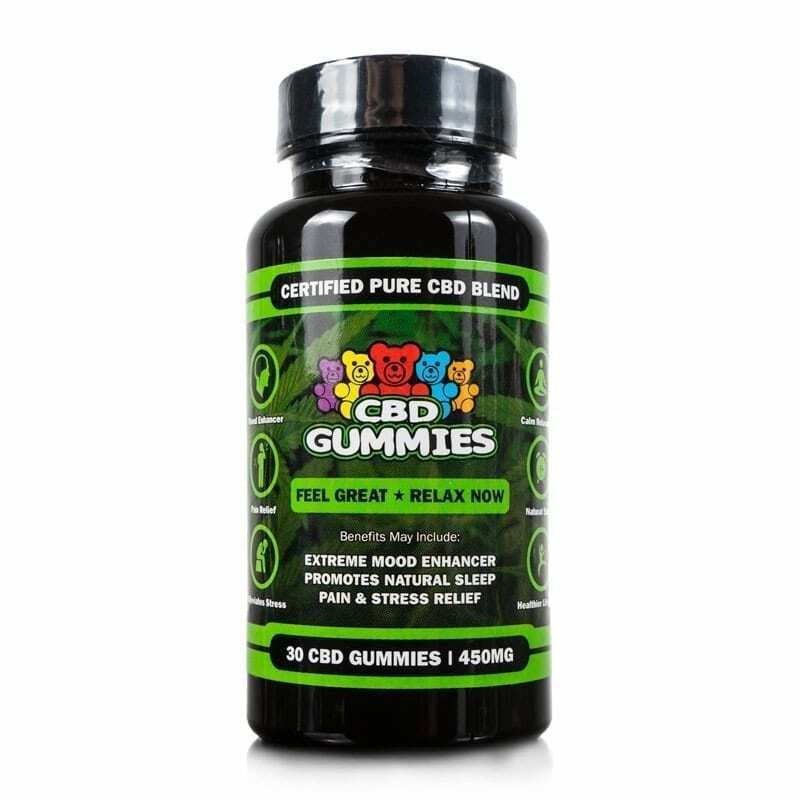 You can expect the Pet CBD Oil to be fully absorbed within the bloodstream within 60 minutes of dosing. However, effects may not be immediately observable and may take up to 1-2 weeks of regular use to take effect. Yes, we would never make anything that isn’t a human-grade product for your pets. We follow the same sourcing and manufacturing guidelines for our 300mg Pet CBD Oil. While the ingredients are human-grade, MCT Oil is more prominent in our Pet Oil. 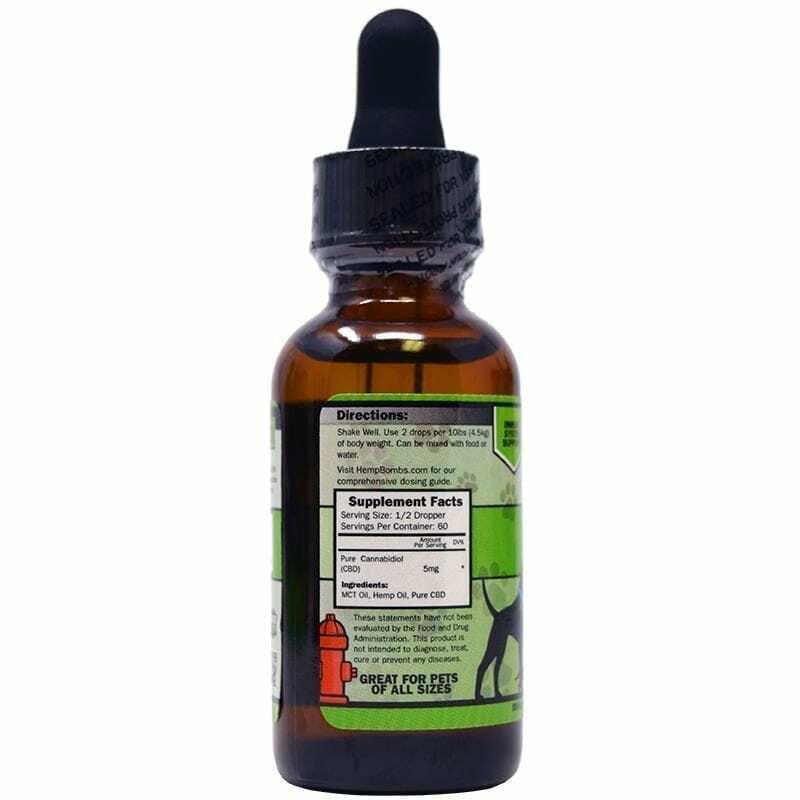 As is stated in the product description, the CBD Pet Oil is designed for pets. We don’t simply repurpose and relabel our regular CBD Oils. 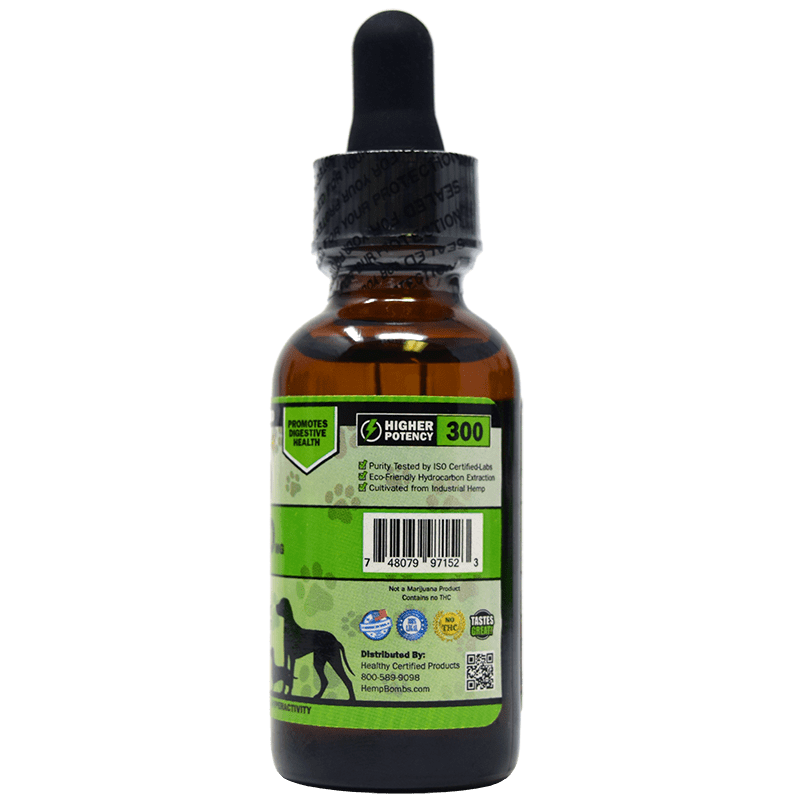 Is Hemp Bombs CBD Pet Oil Safe for Puppies? While CBD oil is safe and effective for virtually all dogs, it’s a good idea to speak with your family veterinarian before introducing CBD to puppies age 3 months or younger. Why is Your Product More Affordable than Other Company’s? All Hemp Bombs Products are manufactured on property. This means we have full product control and can keep our products more affordable. We don’t have to outsource (and pay) our business. Yes, we ship to many countries across the world which you can see at checkout. If you are in a country that is not currently shipped to, you may reach out to customerservice@hempbombs.com to request shipment. We do not ship to Canada or the United Kingdom at this time. Is Pet CBD Oil Legal? Yes, Pet CBD Oil is legal to consume and to distribute across all 50 states. 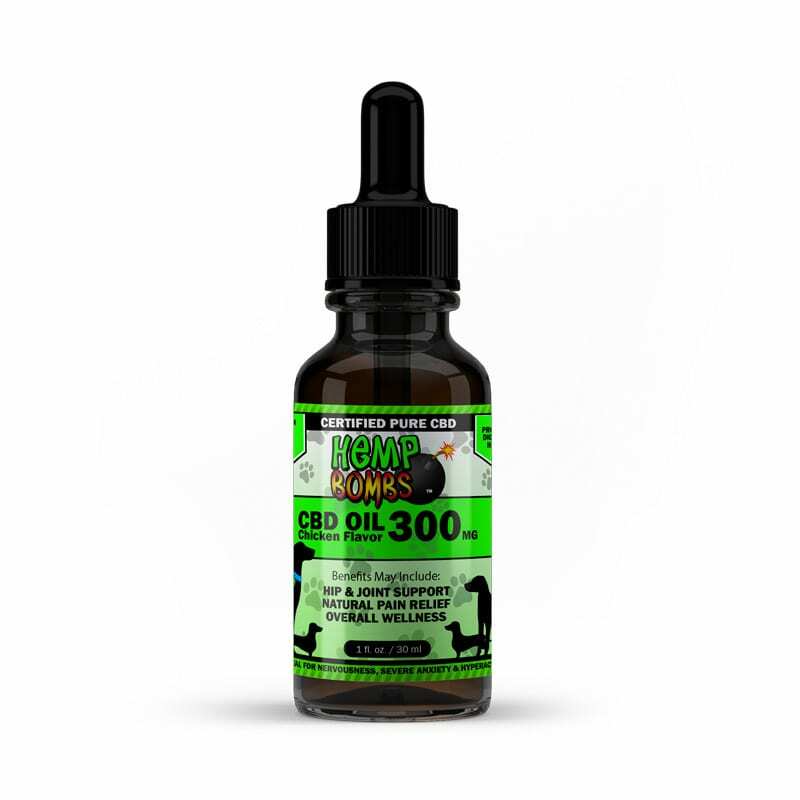 In compliance with the Federal Farm Bill, Hemp Bombs 300mg Pet CBD Oil is manufactured from the “legal” parts of Industrial Hemp, including the plant’s stalks. Upon independent third party testing, Hemp Bombs 300mg Pet CBD Oil has a 0% THC count. Will Pet CBD Oil Make My Pet High? 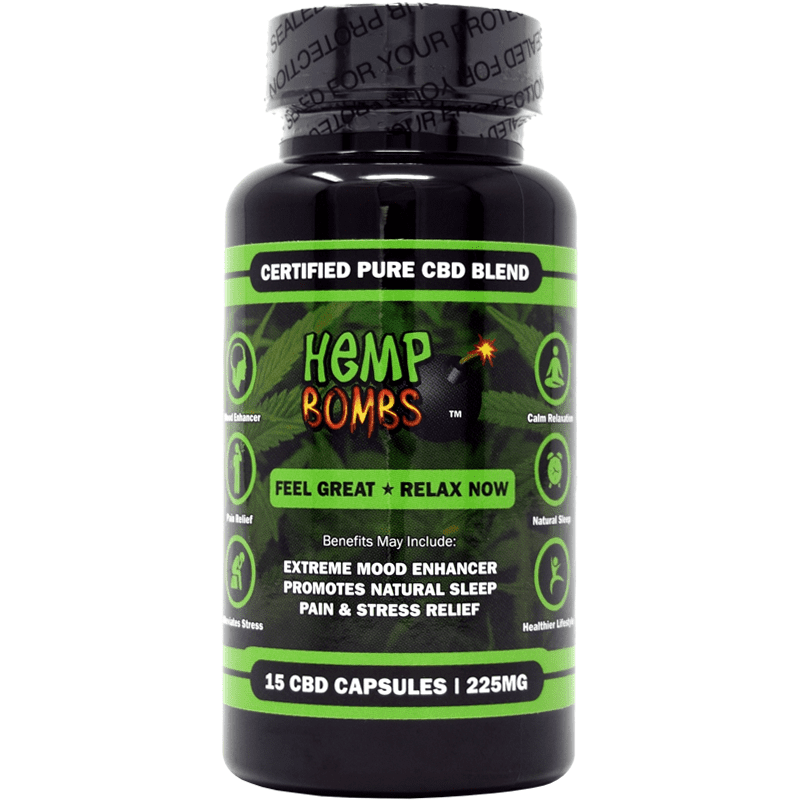 Hemp Bombs is a customer favorite within the CBD industry. While many companies try to take advantage of customer ignorance, Hemp Bombs tries to educate its customer base so they can make informed buying decisions. We truly use premium choice ingredients and control all of our product manufacturing. Many CBD companies operate as “private label” or “contract manufacturers” and do not even operate from a brick and mortar base. My dog was recently diagnosed with cancer. It is a rare, aggressive form of cancer that does not respond well to conventional treatments. As such, I don’t want what time she has left to be spent in pain and sick from surgery, chemo, and/or radiation. It was caught early and I am hopeful that giving her CBD oil, along with other natural treatments and dietary changes, will help slow the inevitable. Even if it doesn’t, I am so grateful that this product seems to, at the very least, be helping keep her energy and appetite up. It also seems to be helping to manage any pain she might otherwise feel without it. I initially ordered the 300 MG to make sure she wouldn’t have any adverse reactions to it and am planning on buying the 1000 MG in the future. I’ve witnessed a big difference in my dog since giving him the pet oil. He no longer needs his anti-seizure medication. Not one single seizure since the pet oil. Unbelievable. Super fast shipping!!! — Using it on my 9 year old dog that has bad anxiety to loud noises like thunder and sirens. He used to howl and bark. Now he’s much more mellow and just walks around like it doesn’t bother him. It’s the only the thing I’ve given him, so it has to be the pet oil. My dog has bad hips and has trouble walking and getting around the house. It’s obvious he’s in a lot of pain. My hope is this will help. Looking forward to my package coming in. Haven’t seen a cat review, but I ordered it last week for my cats. One is a senior with arthritis and other ailments; hoping it helps his arthritis and increases his appetite. My younger cat is the bully Alphs, hoping the CBD oil will chill her out. My dog has had a few seizures this past month, trying this to see if it helps with that, but I have noticed that he is not as hyper since I have been giving it to him mixed with this food everyday. Well worth the wait! My dog loves it and I will be ordering more very soon. My 8 yr old boxer had a seizure while on his nightly walks. I almost fainted. One week later another one. Then another. Ordered the Beef flavored 300mg and he has not had a seizure since. He actually became an even bigger silly clown. :)) will definitely be ordering this for him from now on! Thank you Hemp Bombs!! I’m 24 and I have a 6 year old golden retriever named Buddy. This product makes him sleep like a dream. We love it! I bought this hoping it would calm my doberman down. It did just a little bit. I think she needs the stronger 1000mg version. My dog loves her CBD oil! I see major improvement and I love it!!! Wow this really does work for seizures. I’m in shock. My baby went from at least two seizures a day to none. Seizure-free for 8 days…and she’s been taking CBD for 8 days. Incredible. We can’t thank you enough. My dog Annabelle is healthy and doesn’t really have anxiety or stress. I just wanted to give her CBD oil as a daily supplement. I can say her coat looks a little extra shiny, she has a little more energy when she plays and she looks generally more mellow and happy when she rests. Great additive for daily health. I also take CBD oil for the same reason. The 300mg lasts us a while because I give her only a few drops a day. works as advertised! my dog does not seem to be in pain at all anymore. like magic. 5 stars. So glad you guys finally have Pet CBD Oil! I’ve been giving this to my senior/special foster home Corgi. So far no issues, it’s been helping with his arthritis and cataracts. I’m on a limited income right now but this oil is very much affordable. I plan to order again the end of June. I have two labs Bella and Charlie, brother and sister, both seniors. I give them CBD oil on a daily basis for their joint health and mobility. 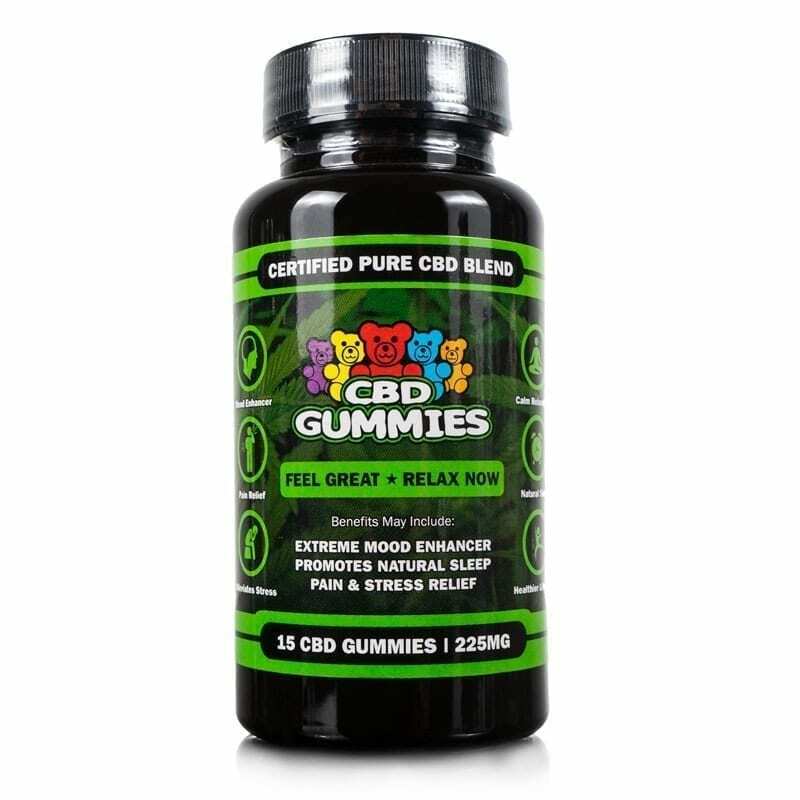 They are so much more lively now, and they get so excited to get the beef CBD flavor in their food. Charlie brought me a toy the other day. Hasn’t done that in over a year. Thank you for helping my dogs. I was a bit skeptical of CBD products for my beagle mix, but I have to say, I’m very convinced after just three days of use. She is a rescue with severe separation anxiety and she will cry nonstop when left alone. I’ve been giving her a few drops of CBD oil before we leave the home, and it seems to calm her down quite a bit. I checked on our dog cam, and she was peacefully sleeping on the couch instead of pacing and crying. My wife and I are so glad to have found a way to keep her calm and happy. I’m amazed. My 12-year-old golden retriever has had a hard time walking around the house because of his arthritis. He could no longer get up and down the stairs. I added CBD drops to his food…he loves them! He starts wagging his tail whenever he sees the bottle. But I am mostly amazed with the results. He is so much more active now and he is playful again like a puppy. He is walking up and down the stairs again. It’s a miracle…thank you Pet CBD Oil! I really like the way your cbd oil make me feel. Takes away my back pain really good. So I ordered a bottle of your pet cbd oil today for my dogs today. Oh yes, I just placed an order for this in the hope it will calm down my jack russell. He’s a spastic and has so much energy. Your CBD relaxes me so why not my dog. Can’t wait to get it. Finally. I hope this helps my German Sheppard that got hit by a car and had a bad leg and hip. He’s in so much pain. Anything I can do to help him I will try. I’ve been waiting for this for my old dog! Just placed my order for it.